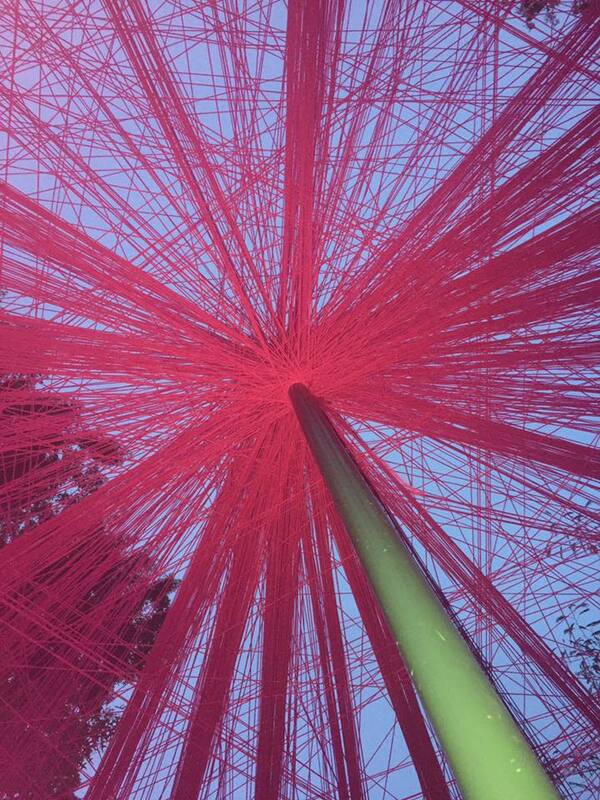 UNITY is an interactive public art project that was unveiled in the Del Ray neighborhood of Alexandria, VA. The project is a response to the divisiveness and negative rhetoric in American politics. With this project, we hope to raise consciousness about the labels we give ourselves and others and explore how those labels both support and limit building interconnected, diverse communities. UNITY is a larger-than-life structure that helps us celebrate our uniqueness and strengthens our ties to each other. The project consists of 32 posts, each with identifiers such as, “I’m a survivor; I speak English as a second language; I identify as LGBTQ,” etc. 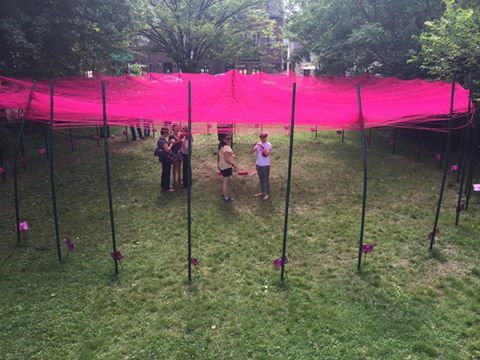 Participants will tie colorful yarn to posts that reflect their identities. Their yarn will intertwine with others’ to create a web of interconnection. In the end, we see that we are all connected by something, and it's our diversity that builds a strong and vibrant community.